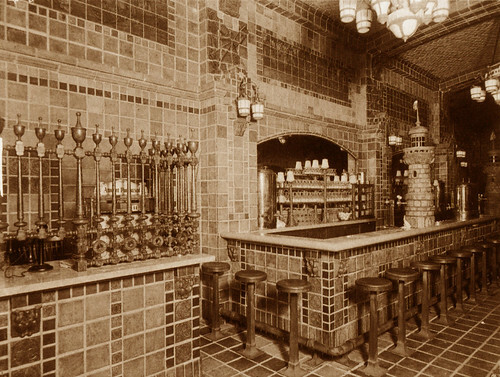 I'm fascinated with these photographs of the old Dutch Chocolate Shoppe in downtown Los Angeles. It may have been one of the most spectacular interiors in the the city. 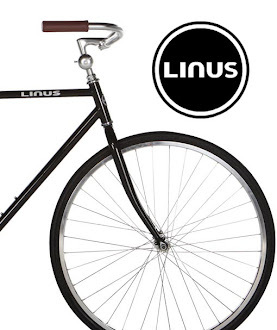 Just look at this place! 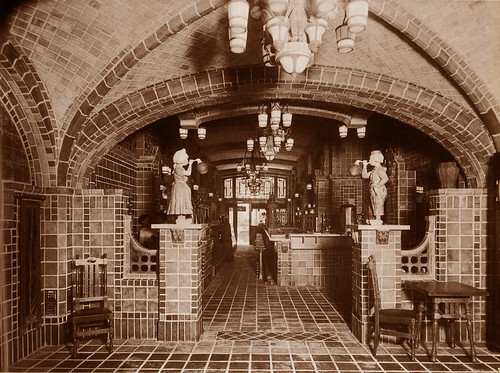 Opened in 1914 to satisfy the new fad for hot chocolate, the architectural firm of Plummer and Feil commissioned ceramic tile-maker Ernest Batchelder to do the interior. 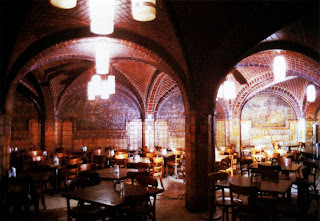 According to Batchelder historian Robert Winter, the cocoa-brown interior was modeled after a "kind of German bierstube, with arches and vaults covered with tiles." Even more astounding, is this chocolatey interior still exists today, though in disrepair, serving as a souvie mini-mall for street vendors. If anyone has the means to rescue this gem and restore it, I want to help! 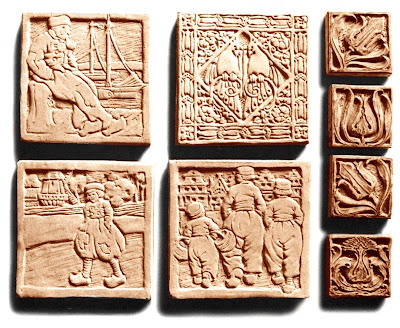 Los Angeles still needs a good place to get a hot chocolate.